Enjoy a welcome drink with us when you book ahead for a seat. Arrive early for your flight, relax, and marvel over the adventure of travel while sipping a cocktail or two. The world is flat, see it in style. What date would you like your booking? What time would you like your booking? Please let us know if there is anything you'd like us to take note of for this reservation. Thank you for your reservation! We look forward to welcoming you at The World is Flat. 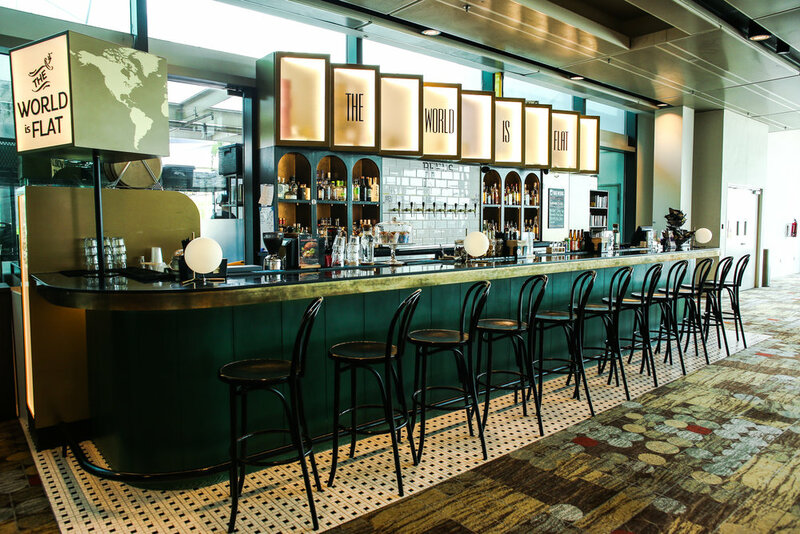 Our bar is located at Singapore’s Changi Airport, Terminal 1 near the C gates.